For Curry lovers, from Kyoto. If you are a fan of curry and are visiting Kyoto, you are in for a bit of luck. In actual fact, in this city, there is one new curry restaurant opening up its doors approximately every three months -competition here is fierce-. Some of the reasons for this is the fact that Kyoto is a student city with many universities standing very close to each other (students are always thinking of ways to fill their stomachs without spending too much), and also because this is a city where many non-Japanese restaurants are flourishing -although its inhabitants cherish old things, they also have a love for anything new-. In this city, there are many different types of restaurants. There are so many of them that even if you were to visit a different curry house every day, you would be unlikely to get bored. So what we are saying is that Kyoto is full of curry lovers, and the staff at Sharing Kyoto is no exception. We often wonder around trying out a number of curry houses with the idea of going back to our most favorite ones. Here we will introduce a small number of the ones that we would like to recommend especially. It would be a real honor if you were to add some of these to your list of restaurants to visit while in Kyoto. If you love spicy curry, and in fact all things spicy, we definitely recommend visiting this little restaurant with just 8 counter seats. The Spice Chamber is deeply loved by the locals (especially the neighborhood office workers), so much so that queues can be seen out of the entrance even at lunch times on weekdays. The menu features only two different items (and some days only one), but their flavors are always being brushed up and improved. This is an amazing top restaurant in Kyoto, where every now and then you can catch a glimpse of the owner's honest dedication to curry. 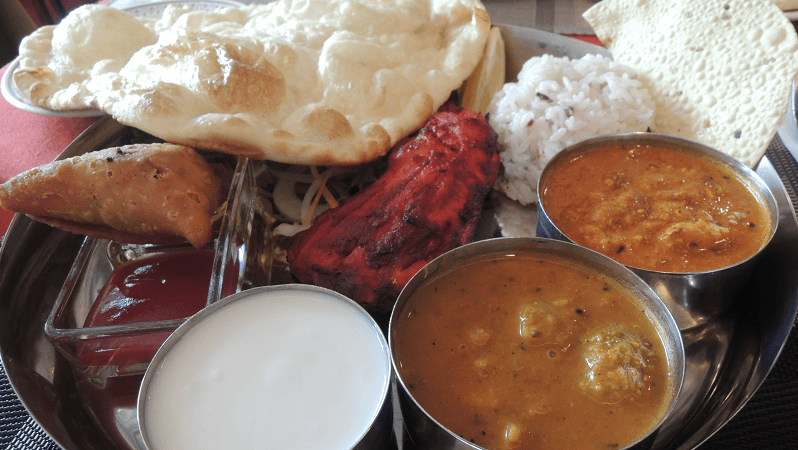 When we are asked, do you know of any old Indian curry houses in Kyoto? First of all we would definitely mention this restaurant. If you want to include curry as part of your travel time, then we would recommend coming here at lunch time. Their menu offers dishes that are perfect for experiencing all the best things about Kerala. 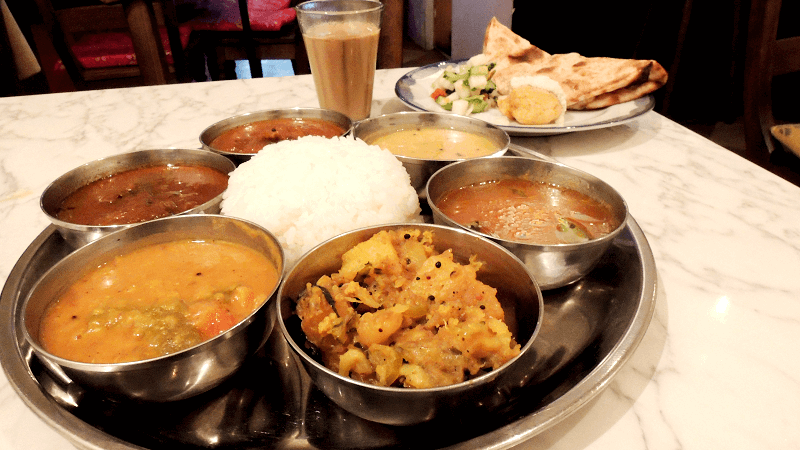 If it were up to me, I would choose the Lunch set of Kerala, so that I could enjoy the tomato soup appetizer, tandoori dishes, and the daily special curry. However, if you are enormously hungry, then rest assured, as the restaurant has many other amazing dishes to choose from. If you are the sort of person who loves traveling and tracing back to the locals’ way of living, we recommend visiting this little old-looking Japanese café. Here you can always see a man reading a newspaper, an old lady drinking coffee, and the staff happily chatting away with all the customers. Kissa Tyrol is this kind of place. What is loved the most by the locals is its homemade curry and rice. 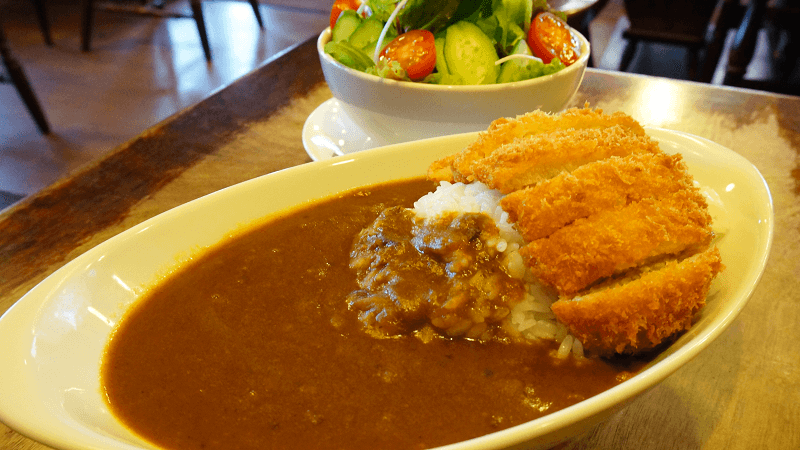 “This is what we mean by Japanese curry and rice!” – this is what we would say as we introduce this café with great pride. If you are traveling around Kyoto and suddenly fancy having some delicious South Indian curry, there is no need to worry. We will now introduce you to a truly lovely restaurant. Its many different types of spices are imported directly from India. 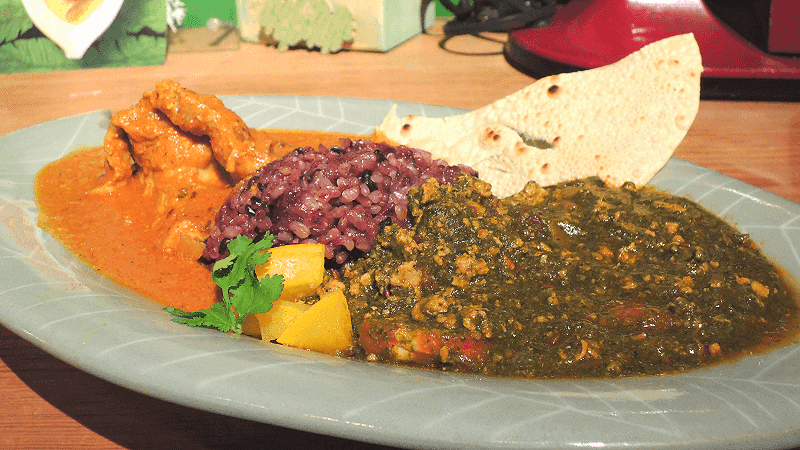 The restaurant offers a wide variety of curries made with just the perfect blend of ingredients. The interior of the restaurant is extremely relaxing, and thanks to its authentic curry dishes, here you will find many of the heavy-duty curry lovers of Kyoto. The way of eating that is recommended by the restaurant is definitely the real thing. So much so that at some point you will start to wonder whether you are actually in Kyoto or India. In Kyoto, there is a slightly novel curry house located west of Nijo castle. Although it originally offered catering services only, just a few years ago it decided to establish a restaurant in a quiet location outside of the city. The restaurant exterior looks almost like a jungle, and its curries are also slightly unusual, not ones that you are likely to see anywhere else. You will be absolutely delighted with their delicious dishes, featuring unique beautiful colors and flavors. 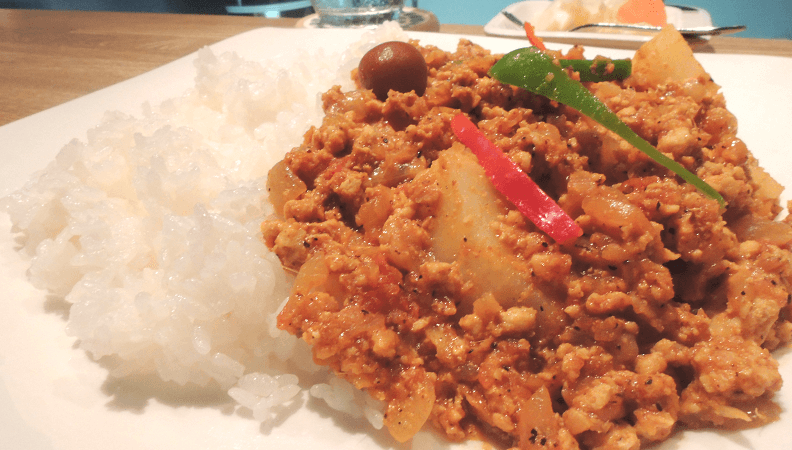 Shinrin Shokudo is a wonderful curry restaurant that, once you have finished your meal, will leave your body and mind feeling slightly more energized.